Apple’s annual Worldwide Developers Conference is always chock full of announcements. We’re guaranteed to see previews of the next versions of iOS and OS X—after all, that’s why developers flock to San Francisco for the event. But this year, substantiated rumors are swirling around a new streaming music service, a refreshed Apple TV, and truly game-changing new iOS features. And now that Apple Watch is finally here, we might even catch a glimpse of the future of Apple’s most personal device. Here are the five big reveals we expect at WWDC, which kicks off June 8 at 10 a.m. Pacific. Take a minute to stare at the WWDC invite Apple sent out. 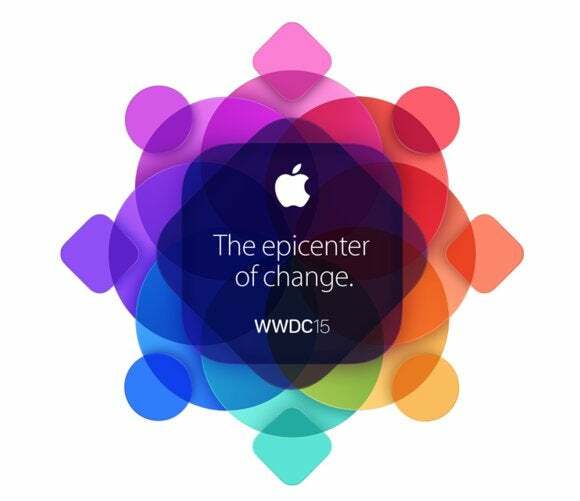 Read the tagline: “The epicenter of change.” The white text sits atop a square with rounded corners, a shape that resembles the Apple TV. Apple could overhaul the look of its Apple TV, or keep it the same and just improve the functionality. 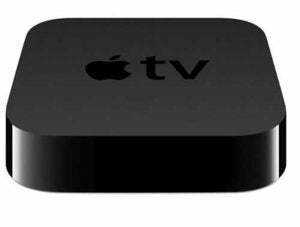 Apple TV owners have long said the set-top box has the potential to be far more than just another way to stream TV, and reports indicate that Apple has plans to turn Apple TV into a true hub for your home. The company added HomeKit support to Apple TV with iOS 8.1, but hasn’t actually announced anything on that front yet. If Apple TV does become a HomeKit hub, then expect Siri to play an important role in the refreshed device. You can already control your HomeKit accessories, the first of which went on sale this week, with your voice, so it makes perfect sense for Siri to become an integral part of Apple TV. More than a year after Apple bought Beats Electronics for $3 billion, baffling most everyone in the tech industry, the reason behind that decision will finally become clear. It’ll take the form of a music streaming service that might do for the music industry now what iTunes and the iPod did in the early 2000s. 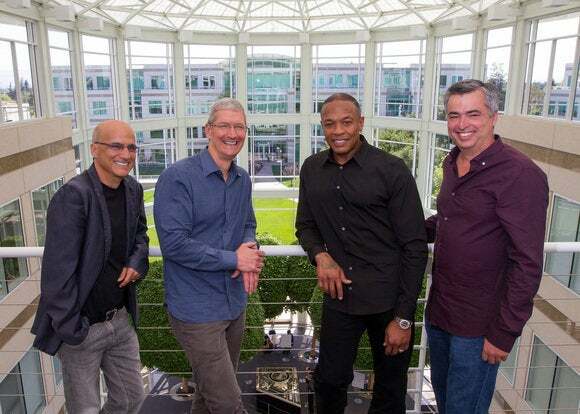 Is Apple’s huge investment in Beats about to pay off? Numerous reports have outlined what we can expect from the overhauled Beats Music: a $10-a-month on-demand streaming service with a side of free, ad-supported radio stations curated by celebrities like Drake and Pharrell Williams. Only 15 million people pay for Spotify’s similarly priced streaming service, but Apple has 110 million iTunes customers who happily spend money on music. It’s unclear if those customers will be easily converted into streaming subscribers, but if any company can change the digital music game all over again, it’s Apple. The Cupertino company is reportedly still working on finalizing the terms of licensing deals with the major record labels, but we still expect to see Beats Music (perhaps rebranded as Apple Music) to shine at WWDC. No Apple service has disappointed more in recent years than its native Maps app for iOS, which replaced Google’s in 2012. The app was half-baked at best and a disaster at worst, routinely leading people to wrong destinations. Maps also lacked public transit directions, making it basically useless for people plotting their route without walking or driving. 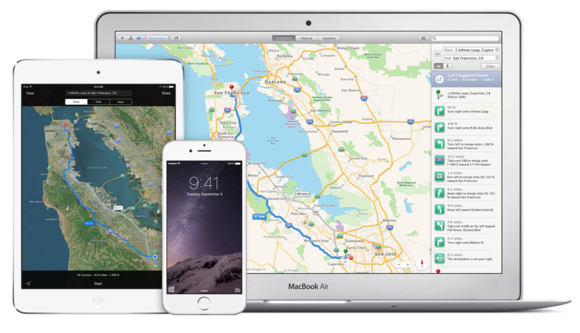 Maps needs an overhaul across iOS and OS X.
That’s about to change—Maps is getting a tune-up for iOS 9. The most obvious fix is the addition of mass transit information for major cities like San Francisco and New York. The company is also working on an augmented reality overlay that would show you information about a business when you point to it on a map. Another feature called Browse Around Me would tell you about nearby places that might be interesting to you, based on previous searches or preferences. Apple is also reportedly moving ahead with plans to add indoor maps, 3D maps, and a Street View competitor, but those features could be years away. Google’s personal assistant, Google Now, is improving all the time. I’m not gonna lie, I felt a pang of jealousy when the company showed off the capabilities of Now on Tap, an ultra-intuitive new feature in Android M that recognizes the context of whatever you’re looking at and responds accordingly. Sometimes Siri can’t even understand what I’m saying, let alone figure out what I’m looking at. 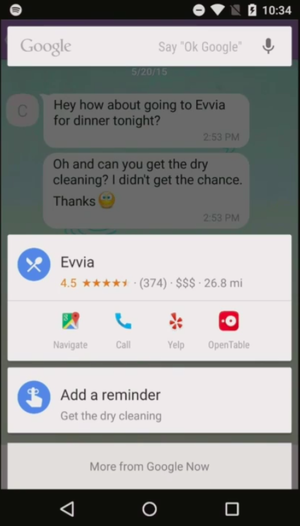 The “Now on Tap” feature coming to Google Now in Android M can anticipate your next steps when you’re using apps like email and chat. A May report from 9to5Mac detailed an Apple initiative called Proactive that would unite Siri, Spotlight, Calendar, Maps, and other apps to serve up information throughout the day without you even having to ask for it. The new assistant would be anchored to the left of your home screen and accessible with a swipe. Spotlight search results would be pinned to the top, while information from apps you regularly use would populate the rest of the screen and change depending on time of day. The initiative sounds like a promising and necessary move for Apple, so we hope to hear more about it at WWDC. Apple Watch apps need to get a whole lot better before the device becomes a must-buy, which is exactly why Apple plans to open up an SDK to developers that will allow third-party apps to run natively, instead of chugging along on your iPhone. That’s not a rumor—it came straight from Jeff Williams, the Apple operations chief leading the Apple Watch team. 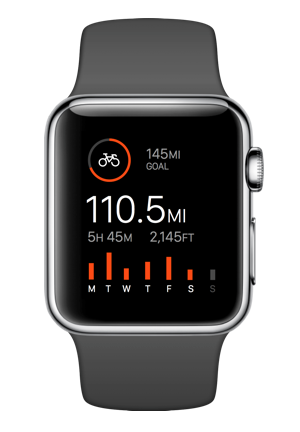 Fitness apps like Strava would be much improved by having direct access to the Watch’s onboard sensors. That means third-party apps will be able to tap into the heart rate sensor, accelerometer, and gyroscope of the Watch without having to wait for the Watch to relay that information to the iPhone Health app. This will obviously have huge implications for fitness apps, specifically, but we’re curious to see what kind of heavy lifting the Watch can handle on its own. Developers will get the SDK at WWDC and can launch their refreshed apps this fall. Disagree with our predictions or have a few more of your own? Let us know in the comments what you hope to see at WWDC, and check back here June 8 for our live coverage of the event—it’s gonna be a good one.